This is certainly a knife. Made out of slate blade… It would be good for cutting… If they were sharp, they would cut any kind of animal. 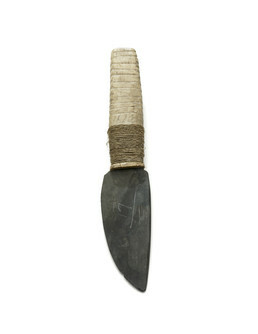 This is a utility knife for cutting meat and blubber, with a bone handle, slate blade, and wrappings of sinew cord.